Forward-looking: Hyundai's walking car concept is being marketed to first responders but its technology could go well beyond emergency situations. As a taxi, for example, Elevate could transport a person in a wheelchair with ease. Hyundai at CES 2019 is showcasing what it describes as the first vehicle with movable legs, blending its expertise in EVs with advanced robotics to create an ultimate mobility vehicle (UMV). 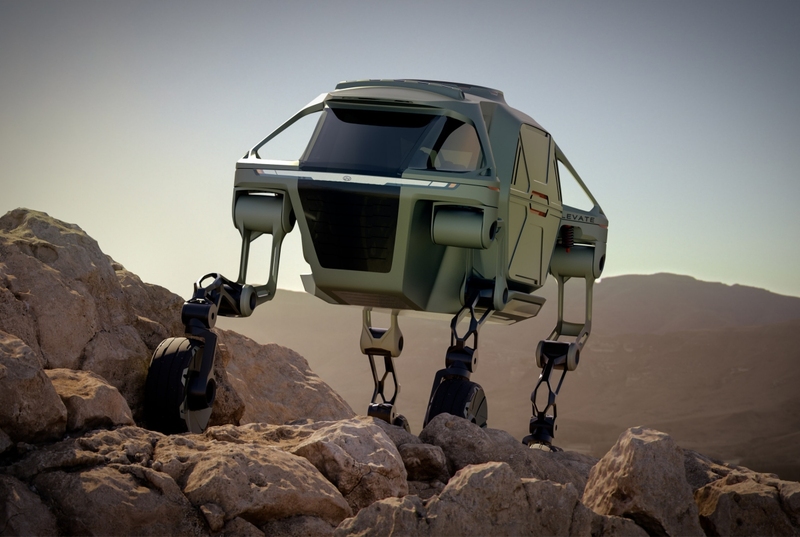 The Hyundai Elevate Concept essentially combines the best elements of a rugged off-road vehicle with those of a humanoid robot (think Boston Dynamics). The passenger pod is supported by four robotic legs with five degrees of freedom in addition to an in-wheel propulsion system. This means it can function like a traditional vehicle, capable of traveling at highway speeds with passive suspension. When the terrain gets a bit bumpier, it can switch to active driving suspension or transform into a walking robot, mimicking mammalian or reptilian style gaits. When the going gets especially treacherous, omnidirectional mobility combines both walking gaits for even more flexibility. You really need to watch the concept video to get a solid understanding of how it all works. It’s quite brilliant. Along with aerial drones, Elevate could help provide a one-two punch for first responders. Here’s to hoping the project makes it past the concept phase.